Pam McNallan, PA-C - Advancements in Allergy and Asthma Care, Ltd.
Pam McNallan is a Minnesota native who joined the team in 2006. 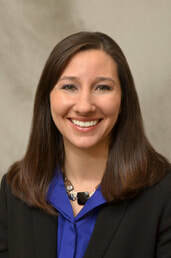 She attended the University of Wisconsin - La Crosse for her undergraduate degree and earned a Masters in Health Science and Physician Assistant Studies from Duke University in North Carolina. She spent two months traveling in Australia prior to returning to Minnesota in 2006. Clinical interests include allergic rhinitis, eczema, food allergies, hives, and asthma. Pam enjoys playing board games and biking with her husband and 3 sons.